On the face of it, the idea of a rigorously testing and optimizing your ecommerce web site seems like a no-brainer. After all, who would object to gathering hard data on exactly how customers move through your site, what happens on specific visits, and what unseen speed bumps and sticking points are hurting sales? Who wouldn’t want definitive answers to such questions? Fact is, though, in many online marketing organizations, there is often surprisingly sharp resistance to technologies such as multivariate testing. The IT people build the site a certain way because it’s simple and robust makes perfect sense in terms of data flow. (But what if that actually turns customers off? What if that makes shoppers bail out before buying?) The notion of actually testing ingrained practices is a bit scary. Who wants to have their worldview changed? The best approach to getting buy-in for a testing strategy is to position it as less of a of a threat, and more of a way to ‘refine’ and direct the efforts of your creative, marketing and IT teams. It’s a way to out-smart, out-maneuver, out-think your competitors; it’s not a way to beat up on what we’ve been doing. First step: point out the pain points on your site. Are visitors fleeing as soon as they arrive? Are they actually buying or just poking around? Do they buy once, and disappear forever? To make your case, use strong graphics, charts, video clips, whatever it takes. But make sure the visuals are backed up by solid data that will speak to your audience: You bounce rate, cart abandonment rate, search engagement and average order value. Make the pain and problems clear, and the idea of a testing program will be much easier to sell. Find a way to dramatize and quantify how much money you’re losing in the current situation. Then show how much more money the company could be making if you could get hard data on exactly what’s working and what’s not working. Peer pressure is another go-to tactic for getting reluctant executives to embrace change. Explain how other respected, successful organizations are leaping ahead by definitively testing what they’re doing. For examples, check business publications, LinkedIn, public case studies, blogs and so forth. Your development teams may feel that site testing is unnecessary, especially if they’ve already evaluated usability and other qualitative factors. They may consider testing their domain, and not appreciate any input from the marketing department. Address these concerns by speaking their language and giving them concrete information they can actually use in making development decisions. Don’t just have a verbal discussion — provide all those statistical facts in writing, in terminology they know and use. Point out that shifting the responsibility of site testing to marketing frees up IT time and manpower to work on other projects. In a critical way, the e-commerce site is the final touch point, the ultimate ‘proof’ of the brand concept. Does the experience on the website match the brand promise? Does it reinforce and capitalize on all the branding efforts so far? Is there something we can do better? Something in our web experience that is somehow compromising our brand? Multivariate testing can quantify this very accurately. Finally, propose a trial run — a limited test, shown to a small percentage of page traffic. Be sure to track key data points like visitor stats, cost per conversion, and abandonment rates. 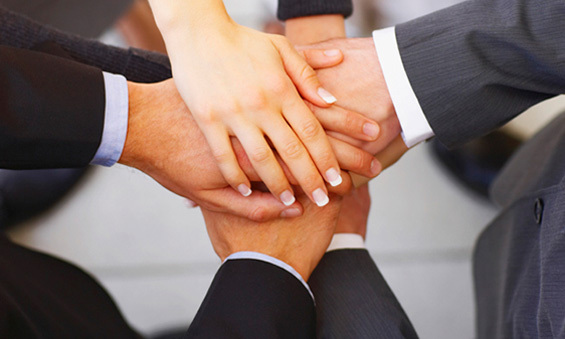 Once the results are gathered, share them with various departments throughout the company. As more co-workers find out what’s going on, your potential support base will become even larger.